What Sort Of Flower Is This? Categories: Writings & Witterings | Tags: mystery, what's it called?, yellow flower | Permalink. heh-heh…we’ve been told it might be a sort of Leopard’s Bane. Never seen them but definitely beautiful..! I’m definitely the wrong person to ask, but I agree they’re lovely! Similar, we think, Cindy, and thanks for the suggestion, but overall it’s thought that the flower is Doronicum orientale common name: Leopard’s Bane, which, according to Kew Gardens, is ‘an early-flowering, lemon-yellow daisy, with a single flowerhead on an upright stem, and soft, rounded leaves’. 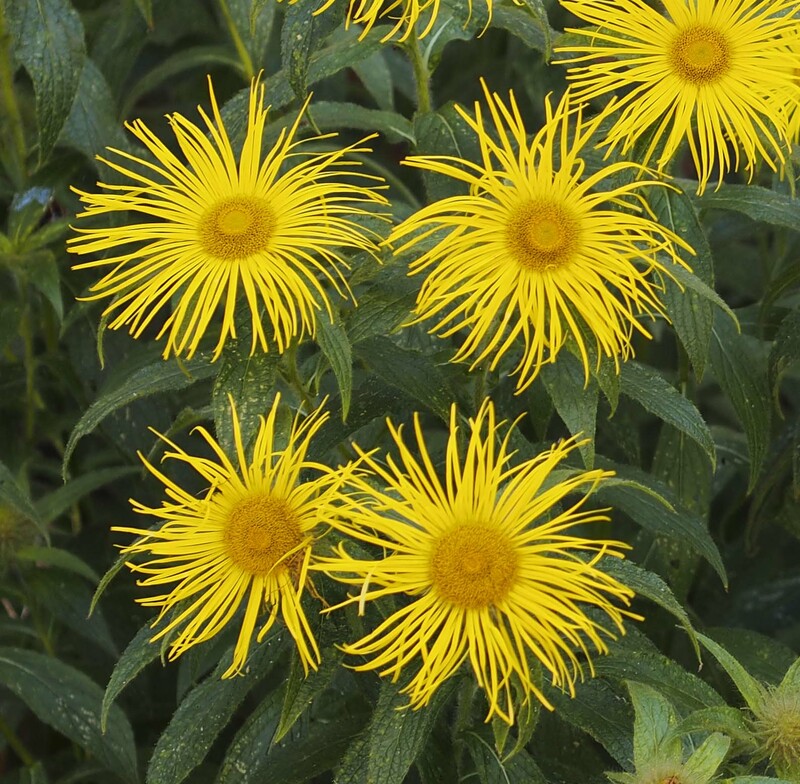 · Inula is a large genus of about 90 species of flowering plants in the family Asteraceae, native to Europe, Asia and Africa. I don’t know either but they are pretty.